Chris is authorised (level 1) by the KPJAYI in Mysore India. 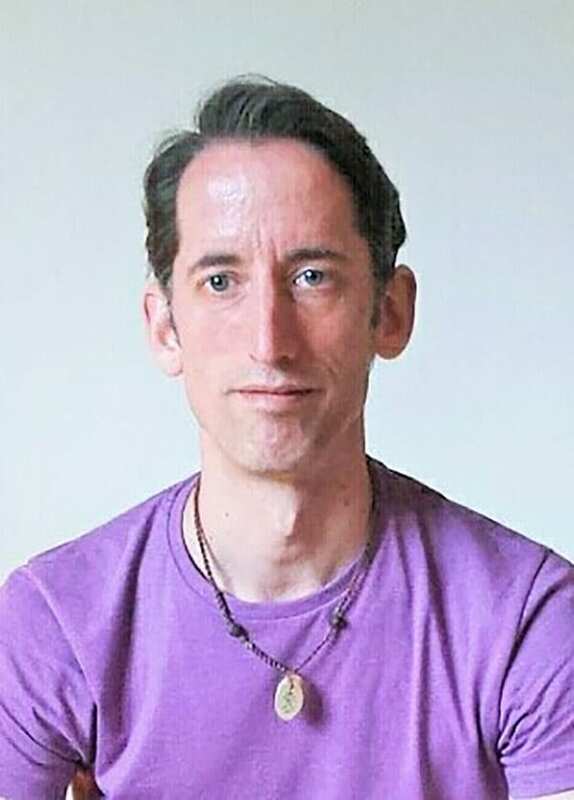 Having attended his first ashtanga yoga class in 2001, he began practising under the guidance of Hamish Hendry, the UK’s senior ashtanga teacher, in 2005. He has been teaching since 2009 and assists Hamish at Astanga Yoga London. In 2011, Chris made his first trip to study at the KPJAYI with Sharath Jois, director of the institute. He returns regularly, spending several months each time learning and practising the ashtanga system. In 2015, he assisted Sharath in the main shala and in 2016, his sixth trip, he attended the summer course for authorised and certified teachers. He also spent two summers in 2011 and 2012 working as a vegetarian chef at the Yoga Plus retreat centre in Crete, studying ashtanga yoga with Radha Warrell and Pierre Seghir. Chris is committed to passing on what he knows of the tradition and aims to make the practice accessible to everyone.